Here’s a subject we should all start getting more familiar with especially if involves your children. 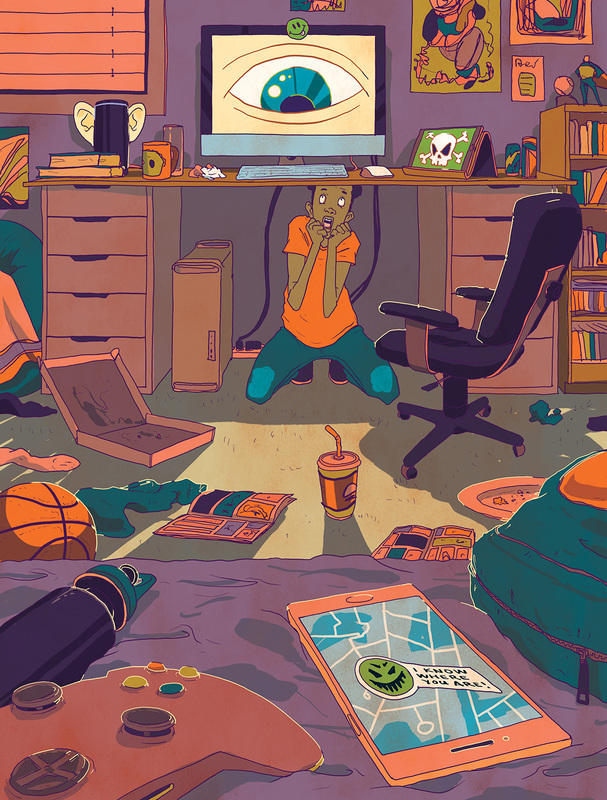 It’s a great piece illustrated by MICHAEL BYERS for Scholastic Choices Magazine on digital literacy. 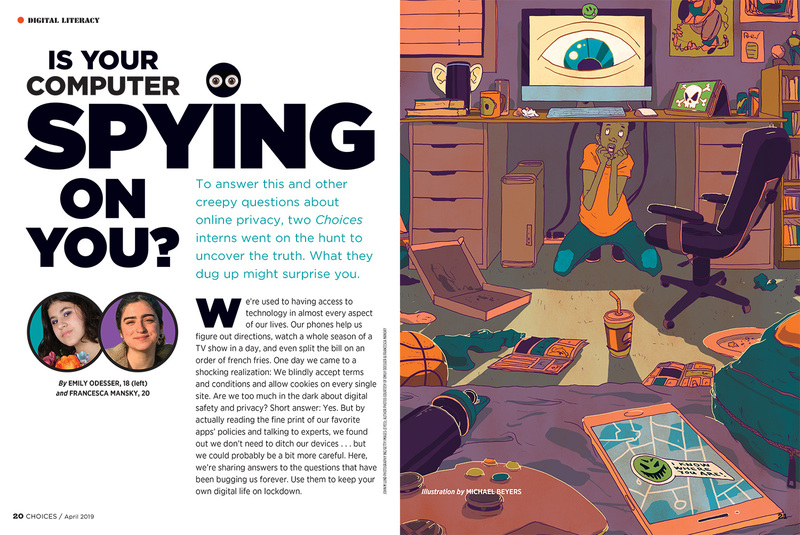 “Is Your Computer Spying On You?” — time to figure out ways to be more careful with our devises.